Compliance assistance specialists with OSHA area offices in the southeastern U.S. are conducting outreach to educate employers and workers on the hazards associated with trenching and excavation work. 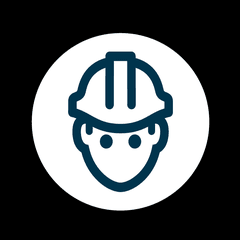 According to an OSHA press release, the outreach is part of a new OSHA initiative that is intended to raise awareness of preventable incidents related to working in trenching and excavations. OSHA compliance assistance specialists in Alabama, Florida, Georgia, and Mississippi will work with excavation employers, industry associations, equipment rental organizations, water utility suppliers, and national and local plumbing companies to discuss how to identify trenching hazards and review the requirements to implement methods to prevent collapses. These methods include sloping trench walls, shoring the walls with supports, or shielding walls with trench boxes. A new OSHA web page on trenching and excavation provides more information about controlling the hazards of trenching and excavating.